This project investigates the impact of rebate contracts on the pharmaceuticals market. 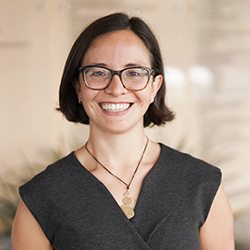 For this project, Melbourne Institute Research Fellow Susan Mendez is investigating and empirically quantifying the effects of rebate contracts between insurance and pharmaceutical companies on the pharmaceuticals market. A tendering process for the procurement of pharmaceuticals, through which rebate contracts are obtained, has been introduced in other countries across the world in a bid to cut down costs for medicine. This practice is particularly employed in the procurement of medicines that are administered in hospitals, but some countries also use tender systems for the provision of pharmaceuticals in the primary sector. Policy opponents argue that such a cost containment tool creates an exclusivity that limits access to pharmaceuticals, and does not support a sustainable, long-term, competitive market. The project involves an empirical analysis of the German pharmaceuticals market, taking into consideration the tendering systems through which rebate contracts are obtained, and aims to identify and understand the impact of contracts on the strategies of producers, behaviour of insurers and consumer consumption choices. The use of theoretical and empirical models provides a framework that, under certain equilibrium assumptions, allows the construction of counterfactuals and hence, a quantification of the impact of regulations on patients' expenditures, firms' profits, and health insurers' savings, as well as, ultimately, a total welfare effect. The project will provide a better understanding of how patients', firms', and insurers' strategies are likely to interact with each other and respond to new regulatory systems, as well as helping governments around the world to anticipate and prepare to deal with unwanted reactions.